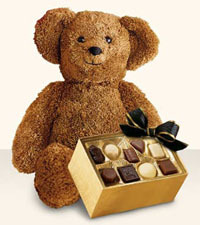 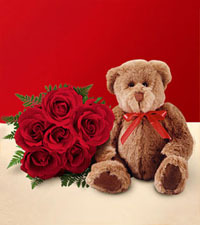 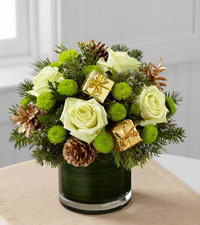 We have gathered together a wonderful selection gifts available for delivery during this special holiday season. 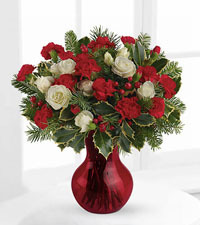 Often this time of year can be hectic. 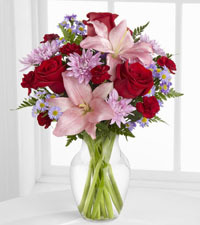 Allow Canadian Flower Delivery to simplify your life and save you time. 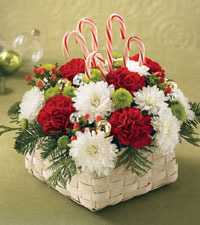 Our most popular choices for winter include poinsettias, holiday table centres and tasty gourmet baskets. 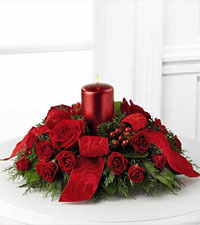 During the holidays, Poinsettias have become a traditional Christmas plant with its dark red colors, its recognized five point bloom, and the greenery that tie it all together. 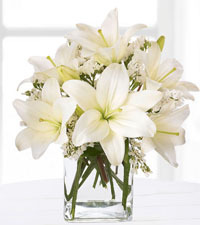 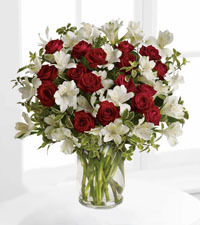 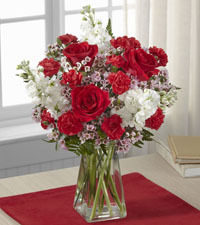 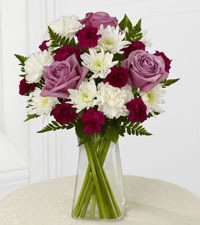 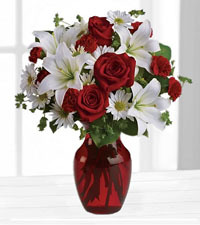 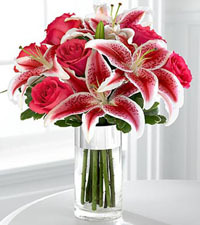 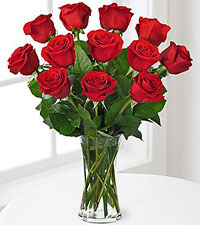 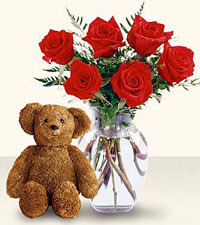 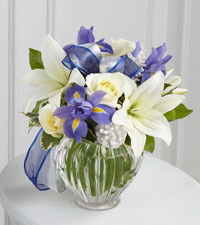 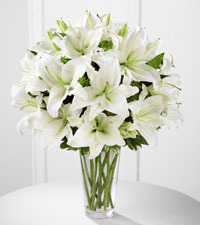 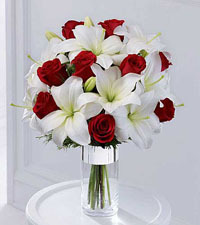 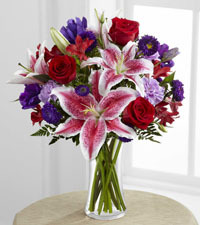 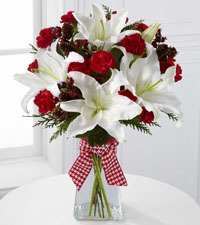 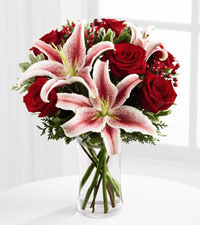 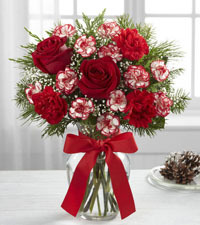 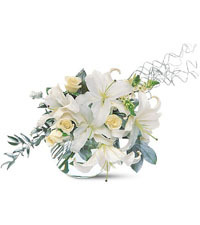 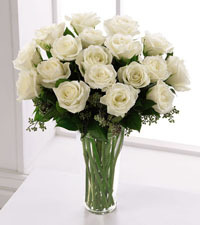 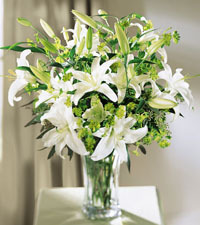 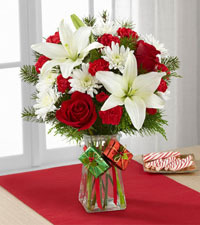 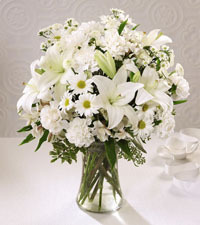 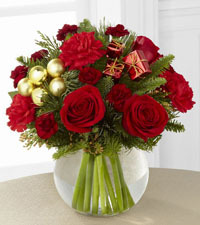 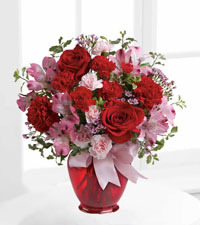 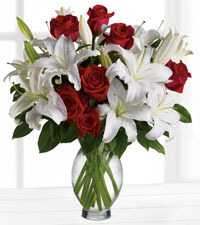 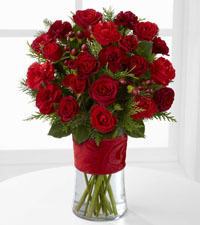 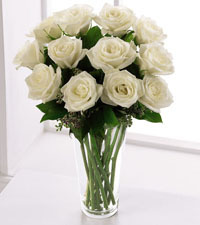 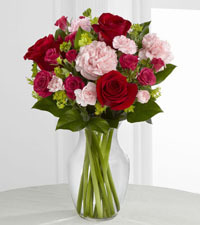 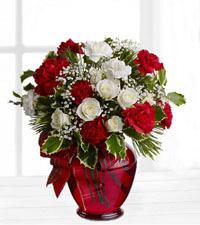 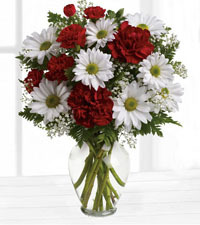 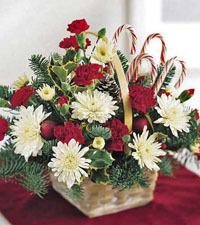 These are popular flowers to send to those on their own or to accompany another beautiful Christmas Flowers. 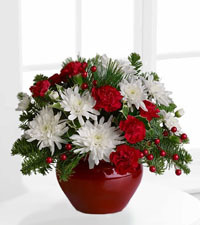 Besides the simple, yet elegant red poinsettia, there are also beautiful white and pink poinsettias available for delivery in Canada. 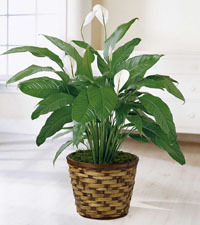 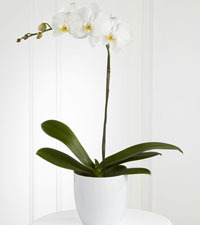 Order these great plants for any loved one and help contribute to their wintery holiday decor. 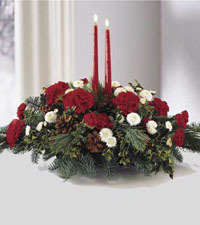 In addition to the beautiful poinsettia plants available at this time; another great gift idea is one of our winter themed Centrepieces. 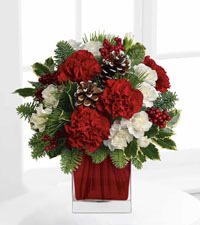 Order the Lights of the Season Centrepiece, a beautiful arrangement that includes red carnations and white chrysanthemums arranged amongst pinecones, red velvet ribbon, and holiday greens. 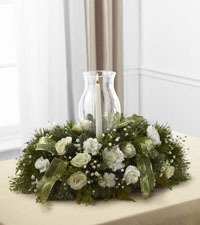 This wonderful centrepiece also contains a candle surrounded by a hurricane vase that is certain to be a fabulous addition to any holiday table. 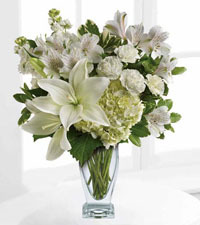 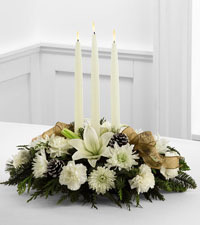 Another popular choice is the beautiful Glowing Elegance Centrepiece designed with all white flowers like white lilies, carnations, and chrysanthemums. 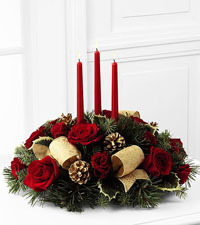 It is finished off with snow-tipped pinecones and three white candles in the centre. 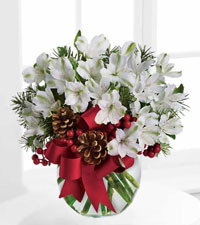 This is simply a stunning holiday gift. 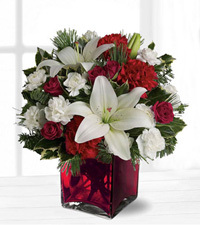 Rest assured that choosing to send flowers with Canadian Flower Delivery during the holiday season guarantees the freshest product will be arrived at the home of your loved one. 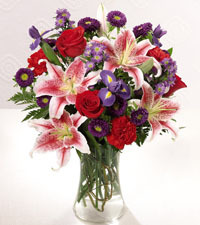 Knowing this, you can focus on other aspects of your choice of arrangement. 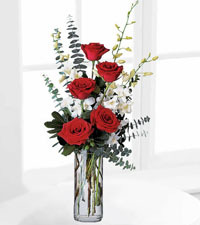 Our website is host to new category, Shop By Colour, which boasts a different way to look for flower arrangements This category will enable you to customize your selection, and peruse our fantastic red or white flower arrangements. 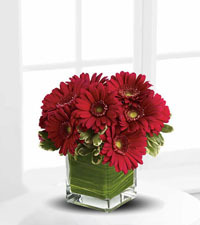 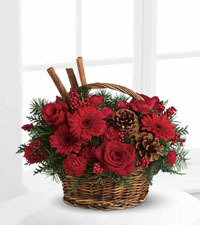 Warm, fragrant and low maintenance, the Berries and Spice Arrangement is an adorable basket, filled to the brim with beautiful red gerbera, hypericum berries, cinnamon sticks, red roses, red carnations and pine cones. 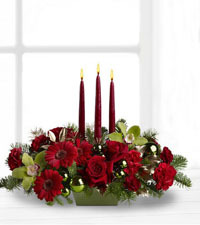 This long lasting arrangement will provide the recipient with an excellent, festive flower arrangement to enhance the home for the numerous gatherings that are certain to occur over the holiday. 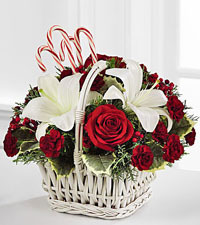 Sometimes, you may want to send a holiday gift basket instead. 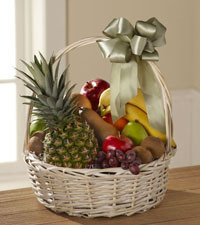 Order one of our fantastic Fruit & Gourmet baskets that include scrumptious fruit, cheeses, snacks, chocolate or candies. 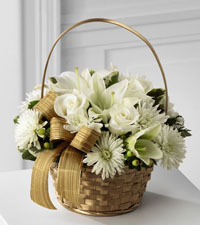 These baskets are great as corporate gifts or for families where flowers may not be as appropriate. 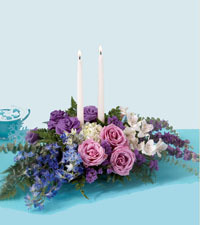 They are beautifully designed and can be customized for particular needs. 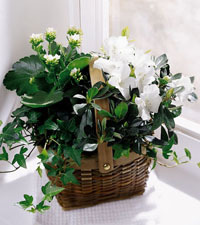 Take for instance the Taste of the Season is a great choice with its assortment of cheeses, meats, and crackers accompanied by a beautiful white azalea plant. 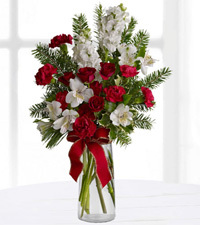 This selection as a great combination that's perfect for anyone on your list. 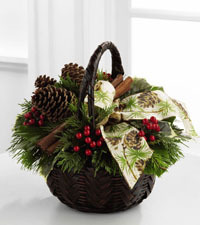 Along these same lines, we also carry fun candy and chocolate baskets or healthy fruit baskets with pears, apples, and oranges. 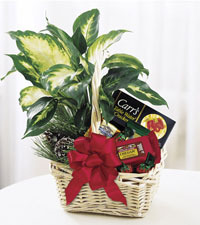 With our large variety of fruit & gourmet Baskets, you are sure to find a great Christmas gift to have delivered to any location in Canada. 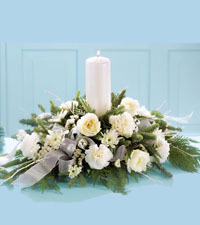 Winter is also a season for other festive celebrations such as Hanukkah and sending winter flower arrangements is a great way to celebrate. 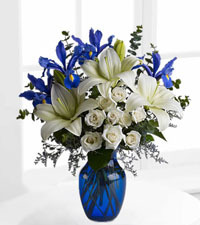 The traditional colours for Hanukkah include blue, white and yellow. 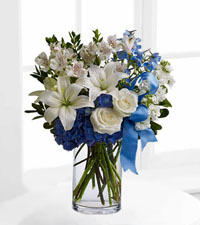 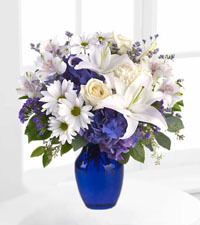 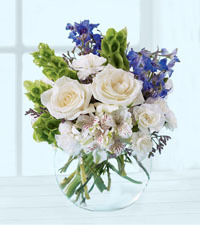 Our Elegant Traditions Arrangement is a beautiful representation of this type of design, with royal blue delphinium, green bells of Ireland and white roses. 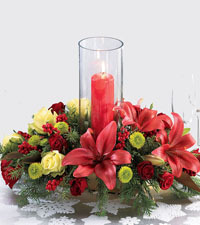 It is an excellent choice for this very special holiday that happens just once a year. 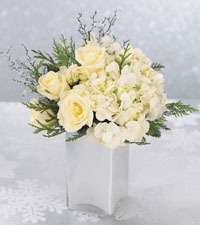 Another chance to celebrate this winter is on New Year's Eve. 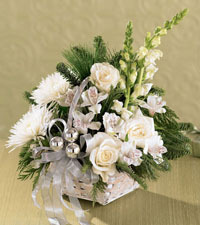 It brings us all together through annual traditions, resolutions and parties. 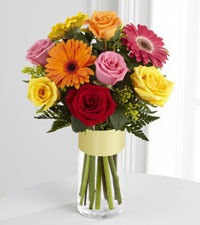 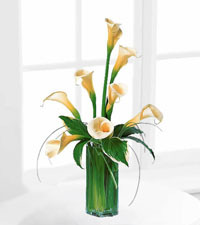 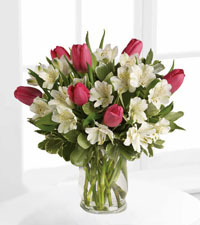 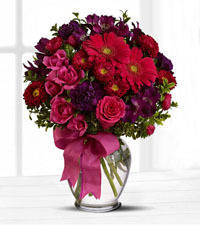 A fantastic choice for ringing in the New Year is FTD's Burst of Light Bouquet. 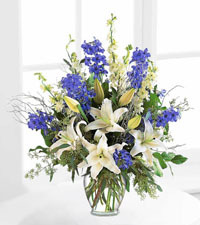 The very popular floral arrangement is like a firework of colour and texture, makes for a dazzling addition to any gathering. 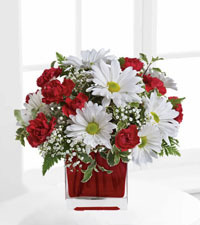 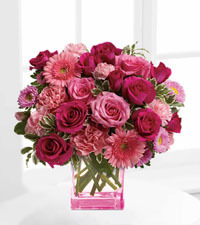 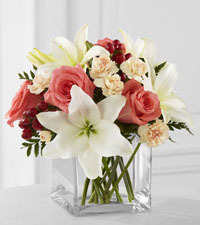 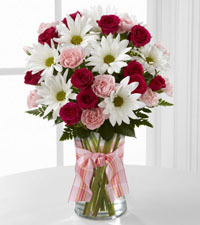 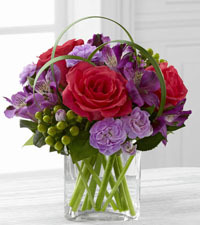 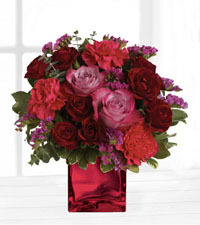 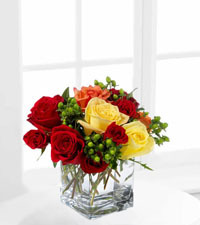 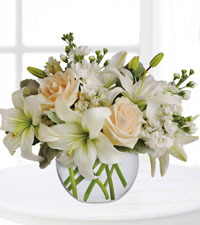 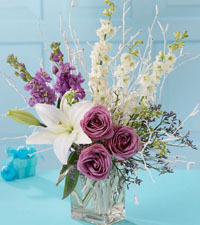 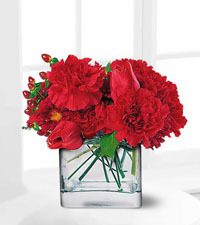 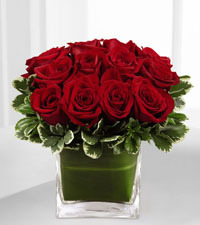 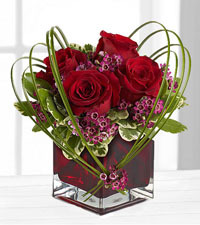 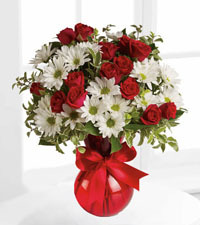 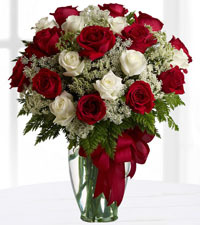 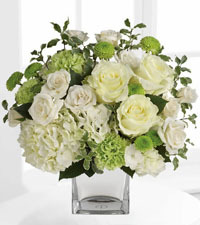 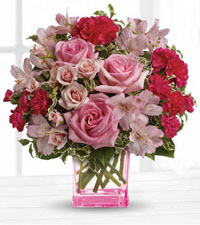 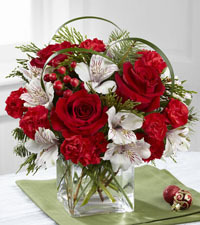 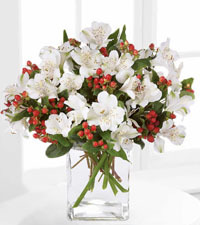 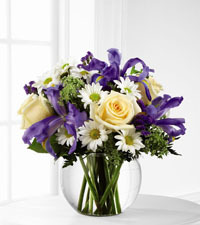 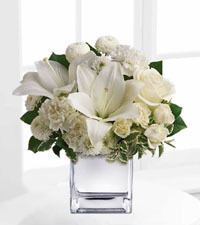 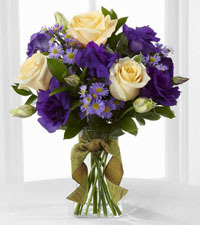 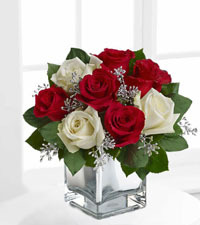 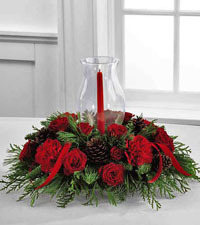 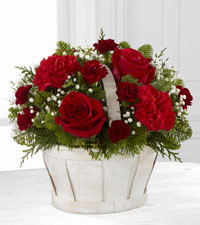 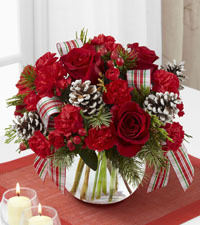 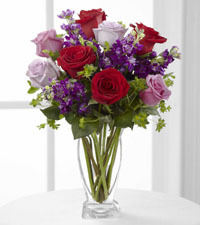 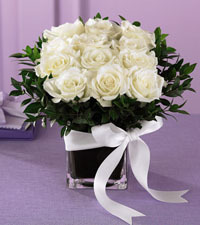 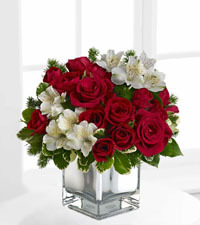 The winter holidays are a great time of year to send flowers, centrepieces, and gift baskets. 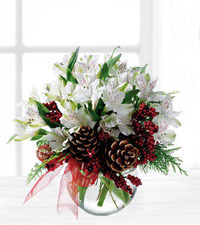 With so many beautiful winter bouquets to choose from, you won't ever have a problem finding a gift that suits every person on your list. 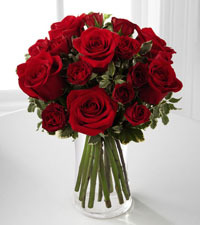 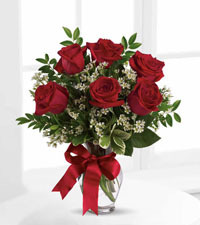 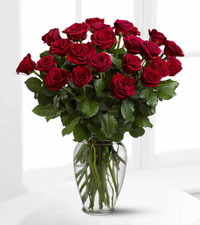 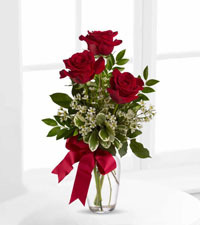 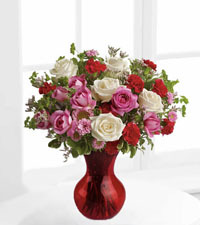 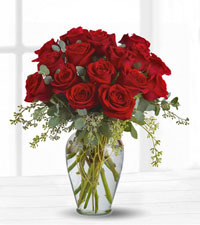 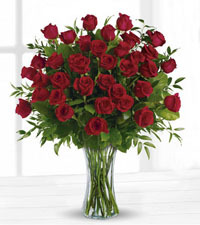 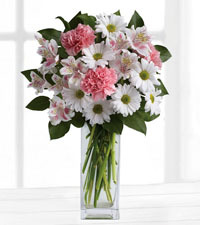 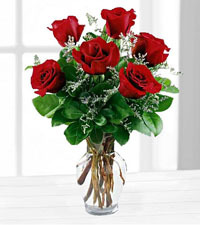 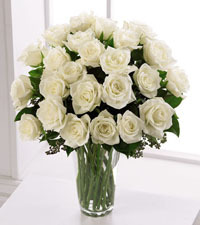 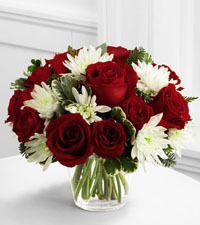 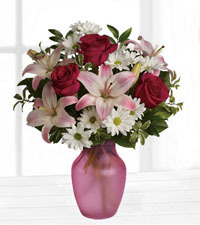 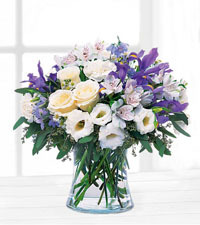 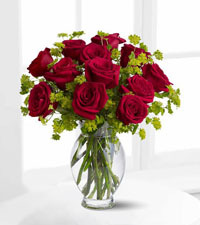 Send flowers with this top rated florist and know that you've ordered a great quality, well-made, and thoughtful gift that any person would be happy to accept.